A month after this law became effective, Koontz, having just completed a training program to teach new courses, was offered a position at a new Kansas school. But, as the court recounts, “the program director asked Ms. Koontz to sign a certification confirming that she was not participating in a boycott of Israel, as the Kansas Law requires.” [Unbelievable, human beings – especially “law makers” – have evolved into beings lower than slugs] Koontz ultimately replied that she was unable and unwilling to sign such an oath because she is, in fact, participating in a boycott of Israel. As a result, she was told that no contract could be signed with her. Even more important is the court’s categorical decree that participating in boycotts is absolutely protected by the First Amendment’s guarantee of free speech and petition rights. BEYOND THE COURT’S emphatic rationale, the decision is significant because repressive measures like this have spread, and continue to spread, far beyond Kansas. Indeed, as we have repeatedly reported and documented, the single greatest threat to free speech in the West — and in the U.S. — is the coordinated, growing campaign to outlaw and punish those who advocate for or participate in activism to end the Israeli occupation. Last week, Canada jumped on the anti-BDS bandwagon, joining France, the United Kingdom and, as recent congressional rumbles become a roar, the United States. The irony is, the motion to “reject the Boycott, Divestment and Sanctions [BDS] movement” was not passed under the former Conservative Prime Minister Stephen Harper, whom Israeli Prime Minister Benjamin Netanyahu dubbed “a great friend of Israel and the Jewish people“. 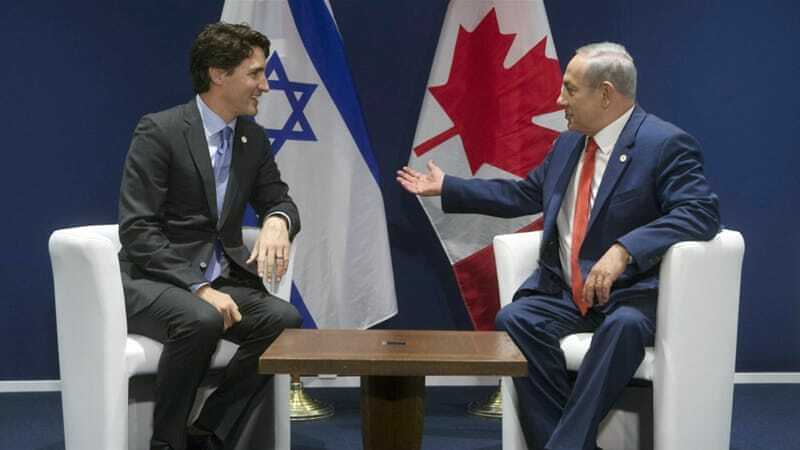 Instead, it was the recently elected Liberals, led by Prime Minister Justin Trudeau, who got snookered by the opposition Conservatives into passing the latter’s motion “to condemn any and all attempts by Canadian organisations, groups or individuals to promote the BDS movement, both here at home and abroad”. Those organisations include the United Church of Canada and its two-million members, as well as unions and universities. Snookered because, as Foreign Affairs Minister Stephane Dion took great pains to outline during the February 19 debate, just about anything to do with Israel is highly divisive in Canada, which voters witnessed last year during the federal election campaign. “To me, this is further proof that the Conservatives have not learned from their mistakes and are still trying to divide Canadians on issues that should unite them,” argued Dion in the House at the start of the debate that lasted the better part of the day. He was followed, one by one, by Liberal MP after Conservative MP, all declaring their support for Israel, their revulsion of anti-Semitism, their denunciations of Hamas as a terrorist group. When they spoke of ‘collective punishment’, it was merely to describe how BDS affects Israelis and not how Israel demolishes Palestinian homes. But, in their more than 55,000 word-debate, there were two scant mentions of illegal settlements – and only to point out how nobody boycotts Turkey for its occupation of northern Cyprus, or Morocco for its takeover of the West Sahara. When they spoke of “collective punishment”, it was merely to describe how BDS affects Israelis and not how Israel demolishes Palestinian homes. As for UN Resolution 194, which governs the Palestinian right of return and is one of the main aims of the BDS movement, it never came up – although it is plainly stated on the government’s Global Affairs website that Canada supports the resolution. And so, said Dion – who was conveniently in Berlin during the vote on February 22 – the motion had to pass. Which it did: 229 to 51. Trudeau, who openly opposed BDS prior to his becoming prime minister, voted for it to pass. Among the abstentions and/or absentees were the leader of the Green Party, Elizabeth May, and 43 Liberals, including 10 Muslim Liberal MPs. Three Liberal MPs voted against the motion. As one MP would later explain, his motivation was not support, or the lack of it, for Israel. Instead, his concerns were over freedom of speech. Throughout, it was left mostly to the third and fourth place parties, the New Democrats (NDP) and the Bloc Quebecois, to vote against the motion. “The issue here is not about defining Israel and Palestine, which is a good debate that we should have, and we need that debate within the House,” exclaimed longtime NDP MP Charlie Angus. That’s probably why the human rights organisation, Canadians for Justice and Peace in the Middle East (CJPME), is not only mockingly pushing the envelope on promoting BDS, it’s also pushing sticky notes to slap on offending products on store shelves. What’s more, on the very same day that Parliament voted to condemn organisations that promote BDS, the student society at Canada’s prestigious McGill University voted 512-357 to support BDS. However, the vote was nullified over the weekend during the online ratification process. Perhaps not so nuts. The motion “to condemn” can pass constitutional muster. Meanwhile, Canadians – at least those already reluctant to speak out against Israel for fear of being labelled anti-Semitic – will be intimidated into total silence now. Do you know where your sodastream is made? Montreal, February 19, 2015 — In light of ridiculous theatre in Canada’s parliament this week, Canadians for Justice and Peace in the Middle East (CJPME) openly launches a creative new campaign to deepen the “Boycott Israel” movement in Canada. CJPME was specifically cited in the parliamentary motion targeting organizations supporting economic action against Israel, and CJPME has launched its new campaign in response. [Bravo! Too many Canadians are cowards and corrupt with greed and selfishness, especially those on the far religious right] CJPME’s campaign invites Canadians from across the country to sign up for a packet of free “Boycott Israel” sticky notes. CJPME invites Canadians to go to local stores and post these on Israeli merchandise, thus warning potential buyers against buying products from Israel. CJPME’s new campaign is part of the broader international Boycott, Divestment and Sanctions movement (BDS) targeting Israel with economic pressure until it respects international law. 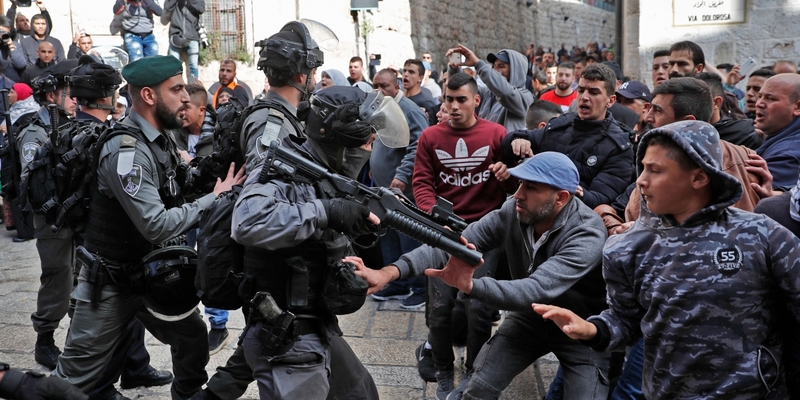 Israel is in long-time violation of dozens of UN resolutions, and has been regularly cited for human rights violations against Palestinians for literally decades. CJPME tends to focus on the “B” (Boycott) part of the movement, as CJPME seeks to promote aspects of the BDS movement in which the majority of Canadians can participate in support of human rights in Israel-Palestine. The BDS is a legitimate means of protest and pressure, is neither “anti-Israel” nor “anti-Semitic,” and is in response from a specific 2005 call from Palestinian civil society. The BDS movement is deliberately non-violent, is grounded in principles of international law, and condemns unjust behaviour. When the injustices perpetrated by Israel end, so will the BDS action. CJPME observes that the goals of BDS actually align with Canada’s official foreign policy positions on Israel-Palestine. “Like many Canadians, I am shocked and upset by politicians’ seeming willingness to threaten and undermine our cherished Canadian right of freedom of speech,” [It’s not Canada anymore, it’s Israel North, Steve Harper made sure of that, with Justin Trudeau et cowardly al finishing what Harper started] declared Thomas Woodley, President of CJPME. “Even if they may disagree with our words or our actions, politicians with any conscience would still stand up for our right to voice our opinion,” continued Woodley. CJPME has launched its new “Boycott Israel” sticky note campaign in direct response to parliament’s ill-conceived motion and threats.